Dan Goldman’s Cash for Gold buys and Pawns Gold, Silver, Platinum and Diamonds in any condition or variety. You will be surprised how high Dan Goldman’s Cash for Gold pays out compared to our competitors. Sell or pawn your items to us and you will have CASH IN HAND, NOT A CHECK! In the end, rest assured that you will be receiving the highest cash for your items from us. It’s more convenient than ever to sell unwanted gold, silver, platinum and diamonds near Lakewood and Hawaiian Gardens. 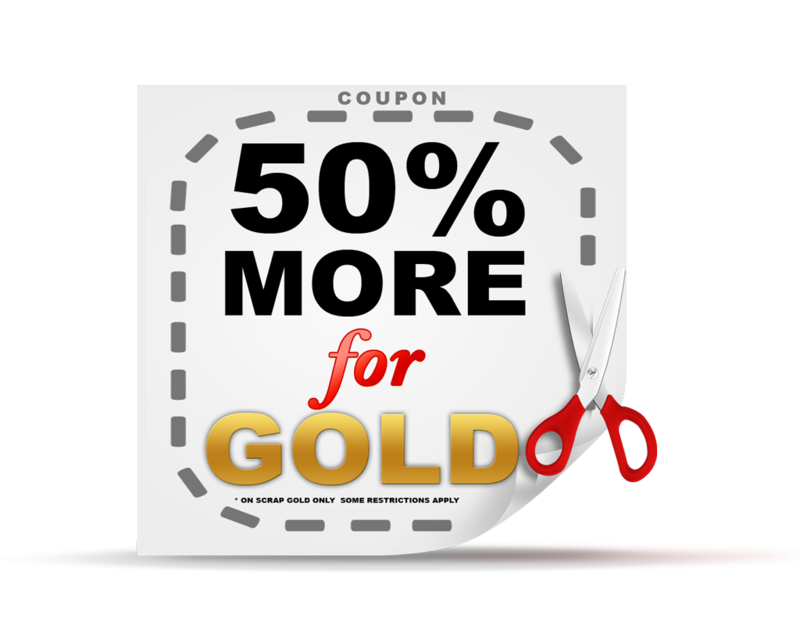 Get the Highest Cash for Jewelry! Selling jewelry is easy at Dan Goldman’s Cash for Gold Hawaiian Gardens, CA. We buy jewelry such as gold, diamonds, estate vintage jewelry, antique jewelry and scrap gold jewelry at Dan Goldman’s Cash for Gold Hawaiian Gardens. So bring in jewelry, whether you have one piece or several, and get a free value estimate. 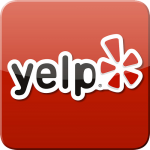 Be assured that we pay top dollar for your jewelry. Accept our offer and receive immediate Cash for your jewelry. We can answer all your questions about selling your jewelry, diamonds, watches and gold. Talk to us at Dan Goldman’s Cash for Gold, about personal cash loans for jewelry, diamonds, watches, gold, silver flatware, or coins used as collateral. We are a licensed pawnbroker and as a jewelry pawn shop our jewelry backed loan rates are among the lowest in the country. 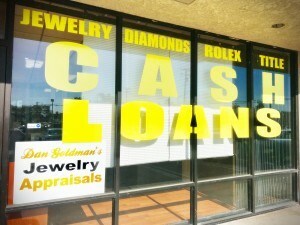 If you are interested in pawning jewelry, diamonds, watches, gold, silver or coins, come see the professionals at Dan Goldman’s Cash for Gold Hawaiian Gardens, CA for a fair market personal loan. We handle all types of vintage and antique jewelry as well as fine gold and diamond pieces. We can answer all your questions about jewelry . Dan Goldman’s Cash for Gold provides our clients incredible service. Dan Goldman’s Cash for Gold = excellence in the Gold trade industry in Hawaiian Gardens and Southern California. 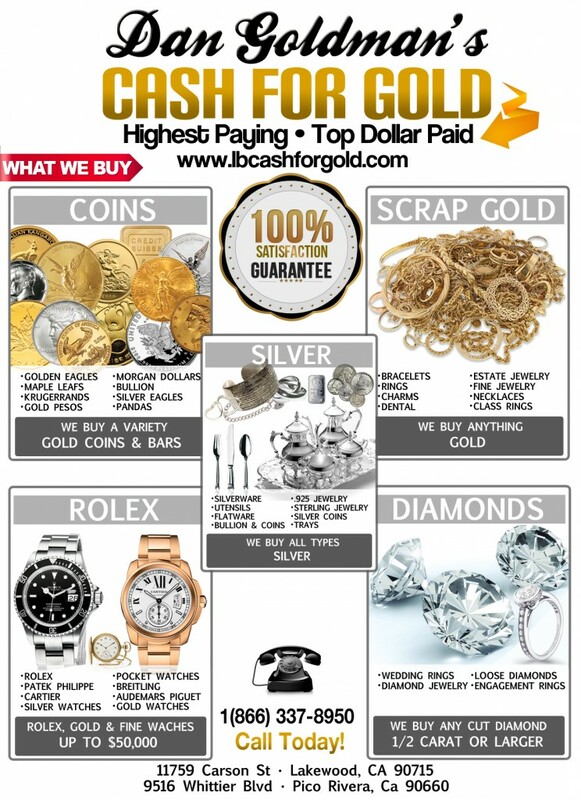 Gold buyer in Hawaiian Gardens offering the most cash for your gold. The whole process is always done in front of you, from start to finish so we guarantee that you will get the most cash. There are several places that offer cash for Gold in Hawaiian Gardens, CA but when you deal with Dan Goldman’s Cash for Gold you will find out that you will get the most cash for your gold in Hawaiian Gardens. We constantly update our buying prices to keep up with the dynamic pricing of gold in the market and when you deal with Dan Goldman’s Cash for Gold you will get the most cash for gold! You come in to our store with gold, you get out with the most cash. Dan Goldman’s Cash for Gold is a trusted gold buyer. We are Gold Coins and Silver Coins Dealer in Hawaiian Gardens, Ca. Gold coins, Silver coins, platinum coins of any kind like US Gold Eagles, Silver Eagles, Krugerrands and US Platinum Eagles, to name a few are the ones that you can get the best deal when you decide to sell them to us.